The Danish Centre for Manor Research is pleased to announce that the international conference “European Encounters. 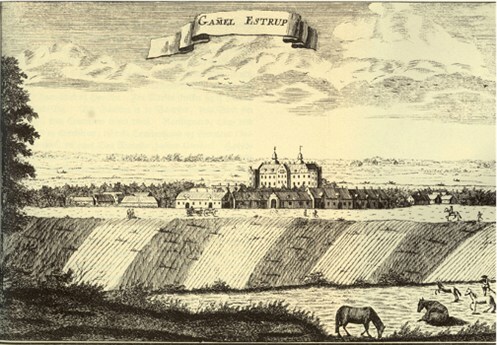 Estates and Landscapes” will take place at Gammel Estrup – the Manor Museum” October 6th-7th 2015. The conference will be an upstart for the project “European Encounters. European Network for Manorial and Country House studies”, which aims to explore and highlight regional variations and notable similarities in the history of manors and country houses across Europe from 1500-2000. The central theme of the conference will be the estate and the manorial landscape. The country house and its gardens – the seat of the estate and the home of the family with a highly visible display of wealth and power – has often been recognized as the dominant feature of the estate. But management and designation also had a profound impact on the agricultural or ‘natural’ parts of the estate. This conference examines the physical, social and symbolic interaction of house, gardens and estate lands in a historical perspective. It will explore similarities and differences in regions across Europe and discuss how estate landscapes are preserved and interpreted as cultural heritage today. Crossing traditional boundaries between history, archaeology, art history, architecture and heritage management, the conference programme presents acclaimed scholars and participants from eight European countries. An important aim of the conference is to further international transdisciplinary partnerships between researchers and professionals in universities and museums. The conference programme thus concludes with a workshop to discuss research interest and outline themes for future cooperation. Participants are invited to join the project ‘European Encounters. European Network for Manorial and Country House studies’ and to form partnerships within the study of the history and heritage of houses, estates and families. Research themes may include the economic and sociological influence of manors in local communities, elite consumption and international networks, and transcultural impulses in art, architecture, fashion, science and politics among the European landed gentry.